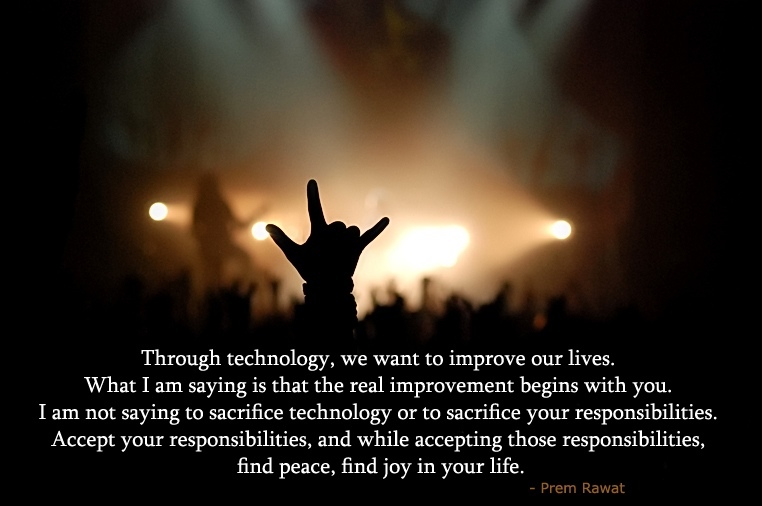 Through technology, we want to improve our lives. What I am saying is that the real improvement begins with you. I am not saying to sacrifice technology or to sacrifice your responsibilities. find peace, find joy in your life.